Your theme can be centered around alcohol but it doesn’t have to be. I’m not much of a drinker although a special occasion may find me enjoying a skinny cocktail. What is your take on “Drunk with…?” I’ve heard the expression “drunk with power,” or “drunk with pleasure.” Perhaps one of my blogger friends can show us what this means in a photo, a poem, a short story, or…? For my own purposes, I chose to go with Summer Drink. I admit I may need more literal themes to inspire me on these hot, lazy days of summer. This is one of my backyard hummers enjoying his summer drink. 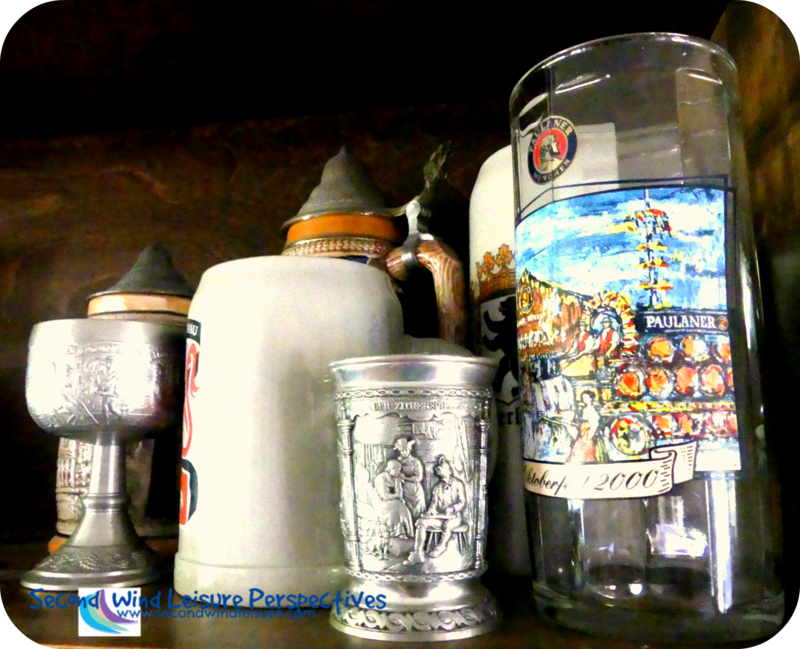 My hubby’s collection of steins from Germany and Europe. 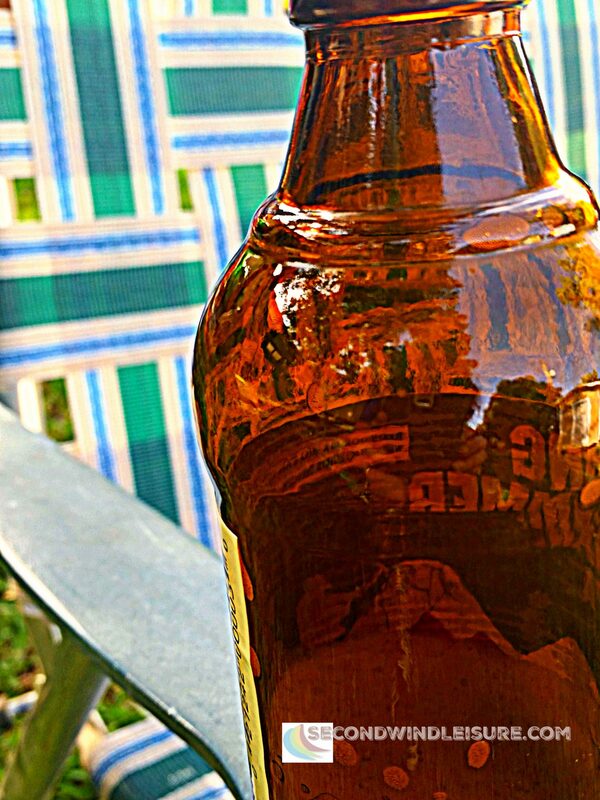 A leisurely sip of cold beer on a hot summer day. Again, I rarely drink these days, not that I did before. I’ve only been really drunk a couple of times and I HATED the feeling of being out of control, the accompanying sick stomach and the inevitable hangover. I suppose I can be simply drunk with joy whenever I am out experiencing summer leisure activities. In July, during just the 4 weeks, we had over 60 bloggers share their posts. We’ve had over 100 links since we started Sunday Stills in May. Thank you to those who regularly share posts for Sunday Stills! I hope you are enjoying this as much as I am! Link up here with your post! 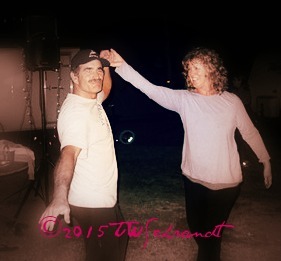 I share all posts on my Second Wind Leisure Facebook page, on Twitter and on Flipboard or Pinterest. August themes are up for view! Visit my Sunday Stills page here! Oh it’s getting pretty cold these days. I need the memory of summer drinks to warm my bones haha… Cheers! That hummingbird is so adorable! Lovely selection for this week. Your hummingbird shot is so crisp and clear! I can’t seem to get a picture without the blur. (But I’ll keep trying. Thanks for hosting a photo challenge. I’ve been missing WPC terribly. Hey Terri, That humming bird shot was really a lucky shot and indeed so adorable. These are great photographs, Terri, especially the hummingbird. So cute! Thanks, Robbie! Both this hummer and the mate love to put on a show! Congratulations on the success of bringing back ‘Sunday Stills,’ Terri. It’s certainly something to celebrate, even if that celebration means a bar of chocolate rather than a drink. My favourite summertime drink is a milkshake – preferably banana flavour. MMM, sounds yummy, Hugh! Extra chocolate and berries in my weight watchers smoothie (LOL)! I’m quite excited with Sunday Stills and so many new bloggers I have met as a result! Thanks for stopping by on your break, Hugh! I hardly drink, either, and I’ve never liked feeling drunk. 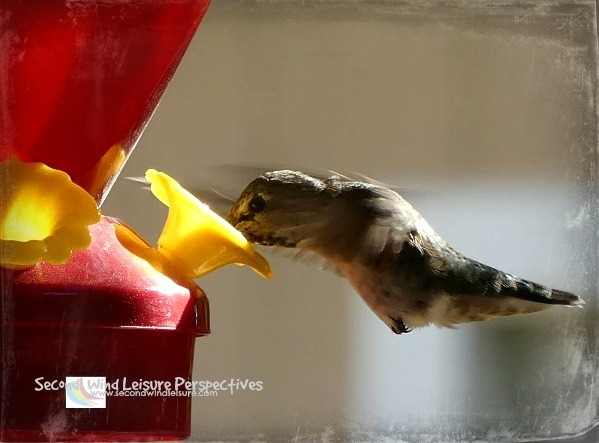 That is a great shot of your hummingbird in action! And of course I love the one of you and your husband! I’d say that the drink I drink the most of year round is water. Definitely my favorite. I’m not a big drinker either, but by the end of a hot day, a refreshing, ice-cold Sierra Nevada IPA is high on my list of favorite drinks. If I’ve gone through a lot of effort creating a delicious meal, I love serving it with the perfect cab. One thing I like about these themes is the variety of takes on them. Here’s mine: https://grahamsisland.com/2018/07/29/wind-turbines-crank-out-the-power/. I’d already picked this out before you added the alternative choice and decided to stick with it because I like the images. That’s great, Graham! I love everyone’s creativity and interpretations! You are so creative with this theme, Terri!! I love that photo of the hummingbird—it’s amazing!! I actually added an Instagram post of an aloe drink we use. If it’s not appropriate, feel free to delete it!! Thanks, Jodie, I’ll check it out! It’s perfect! I didn’t know you could link from Instagram!